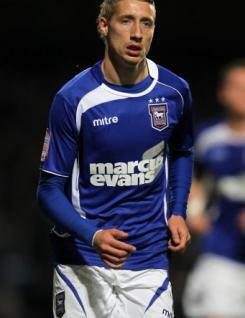 Lee Martin is a young winger who signed for Ipswich Town in the summer of 2009. Lee was a product of the Manchester United youth set-up, having been signed from Wimbledon for a substantial fee as a teenager. Loan spells with Royal Antwerp and Rangers and various Championship clubs followed, prior to joining ex-United skipper Roy Keane at Portman Road. After struggling in his first season at Ipswich he was loaned to Charlton for 2010-11 but was recalled by new manager Paul Jewell when he took over from Keane in January, Lee then becoming a regular in the side.